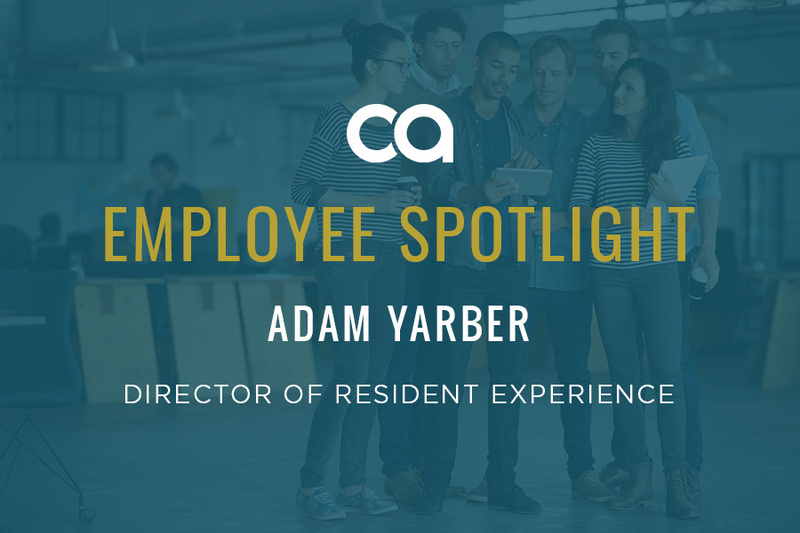 From his first student housing role as an RA in college to his current position as the Director of Resident Experience at Campus Advantage, Adam Yarber knows many sides of student housing. For the past year and a half, Adam has worked to bring that knowledge to bear in delivering an unrivaled experience for the students at Campus Advantage managed properties. 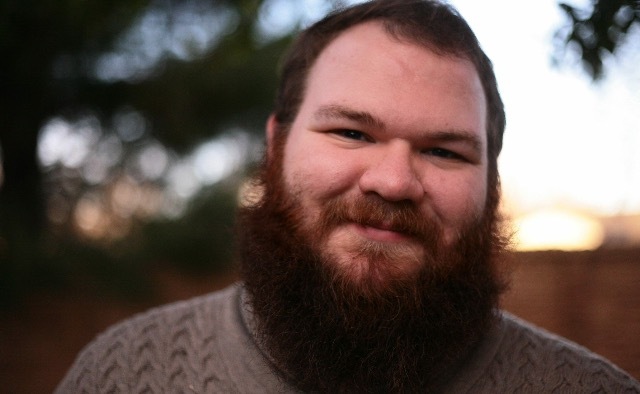 Though he approaches each day with a single-minded focus on the students in his care, Adam was kind enough to divert some focus to our interview, where we learned more about what motivates him — including an unapologetic passion for Disney. In a few words, describe what your team does for Campus Advantage. The Students First® Experience team makes sure that we’re creating an environment in which students are happy and fulfilled while they are living in a Campus Advantage property. In my department, we oversee customer service, the monthly events (what we call “experiences”) that the teams run, complaints, and the training of staff at various properties. A lot of fun stuff. In essence, it’s my team’s job to provide the LEGO pieces and the LEGO instructions, and it’s the community team’s job to build something creative and well-grounded using those tools. The Students First® Experience is an all-around, do whatever is needed type of job focusing on creating a living experience that goes above and beyond in every possible way. What do you feel is unique about Campus Advantage? The way that Campus Advantage approaches resident experience is different from any other student housing company that I’m aware of. As one example, we have a Career Success Portal, which no other student housing company offers. It gives our residents 24/7 access to over 500,000 unique jobs and aggregates millions of other job opportunities from other listing sites, helps them build their resume, and helps them develop their interview skills. We believe that if you live in a Campus Advantage community and you take advantage of the things that we have to offer, it will give you an edge — as a student and beyond. What is your vision for your team and its impact on Campus Advantage over the next year? When you look at what you do, you should look at your title, and that will tell you where you should be. That’s a quote from Lee Cockrell, who was the Executive Vice President at Walt Disney World for 15 years in the 1990’s and 2000’s, and that really resonates with me when I think about what I do. As the Director of Resident Experience, my vision is to achieve our corporate purpose of serving and inspiring our employees and our residents to achieve their full potential. I am one of those employees who memorizes our mission, vision, purpose and core values, not only because it is my responsibility to instill that in our Community Assistants and RD’s, but also because that is how I guide decision-making for our team. Passionate — Inside and outside of work, I love what I do. I really do have a phenomenal time working with Campus Advantage. Fun — People who have met me would say that I’m fun. I am a big guy and I have a big beard and I am really loud. I’m a huge fan of LEGO and Disney (have I said that already?) and have a whole room in my apartment that is dedicated to LEGO and Disney trivia, so if that’s an indicator of being fun, I think I have it. Intelligent — One of our core values, intelligence, speaks to innovation, which I identify with. I always look to make things better and more effective. I love technology and new ideas. If your life had a soundtrack, what’s one song that would be on it? There would be a lot of Disney songs on it. But really, if I had to pick just one, Lady Gaga’s Born This Way would be my song because I am unapologetically who I am. I take the natural talents I was born with and try to run with them to be the best I can be and to drive our company forward. It’s also just a fun song to sing. What is one of your favorite moments at Campus Advantage thus far? This year, I won our “Values in Action Award” for our corporate value, passion. Prior to Campus Advantage, I came from a company where I didn’t feel valued and I was passed over for many promotions for which I was qualified. Winning this award was a sign that my hard work, dedication and time — including moving my life and family from Lubbock, Texas to Austin — was worth it. I was promoted to Director at the same time, so it really was a big thing for me. I’m continuing to push for innovation. I’m continuing to push our teams to question things — asking why things are done a certain way and thinking about how we can do things better or bigger. And I’m practicing what we preach. I think part of keeping Campus Advantage moving forward is just practicing our core values and doing what we say we will do, along with innovating and aiming for constant improvement. Making sure residents are happy and satisfied should always be our number one priority. Our number one priority is not making sure that checks get posted, or getting our marketing done, or selling t-shirts for housing fairs, or processing work orders (though those things are all very important) — it’s treating residents with respect and making sure their experience is the absolute best it can be. Every time I talk to somebody on my team I try to instill that belief in them. I love what I do and the thought of any resident feeling mistreated or not feeling like we are going above and beyond for them really frustrates me. We have 30,000 students in our care, and it’s our responsibility to serve them well and to treat them with respect and dignity. Our job is their home. I always tell our teams, think about when you’re at home — you’re in your most vulnerable state. We have to keep that in mind when we’re engaging with residents. We work at their home. This is not just where they live. It’s where they break bread, where they cry to their moms about being homesick, or talk to their best friend about a breakup or the frustration of failing an exam or the joy of a new boyfriend or girlfriend. We get to experience those things with them and it’s important for us to take care of our residents and really treasure those experiences. That keeps me going.